Studio 103 completed the transformation of this old warehouse into a collaborative design studio. The building, located in Abbotsford, Australia, also contains a colorful history. It served as a manufacturing venue beginning in the 1940s. 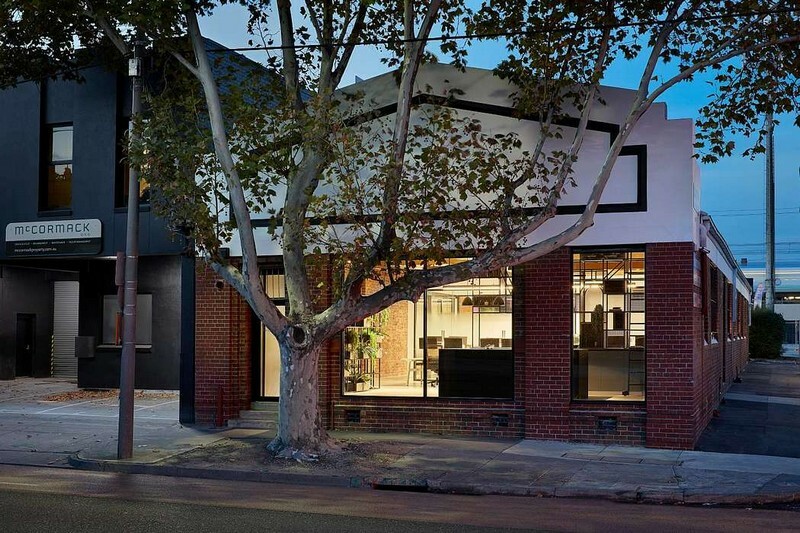 “We set out to create a unique, functional space which retains its original industrial charm, utilizing the existing architectural features as a foundation,” the architects said. The project also aims to strengthen the connection between Studio 103 and their building partners, McCormack Property Services, who reside in the neighboring building. 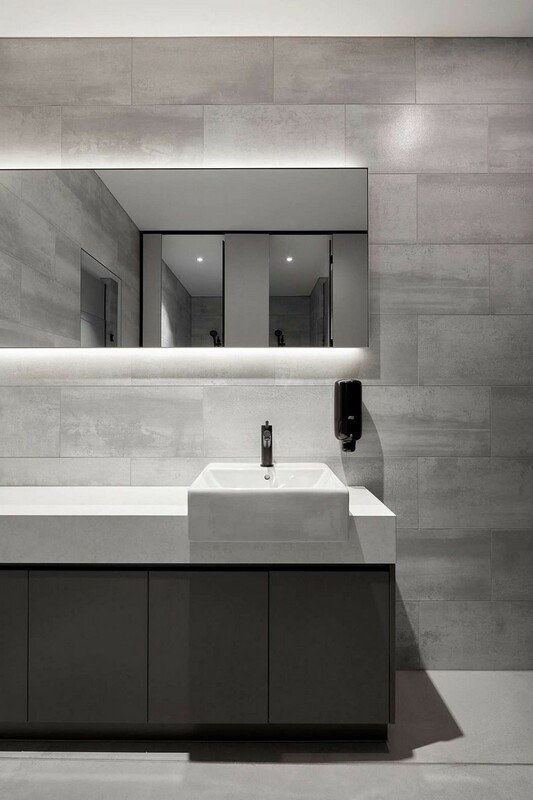 The interiors boasts minimalist arrangements and industrial designs. 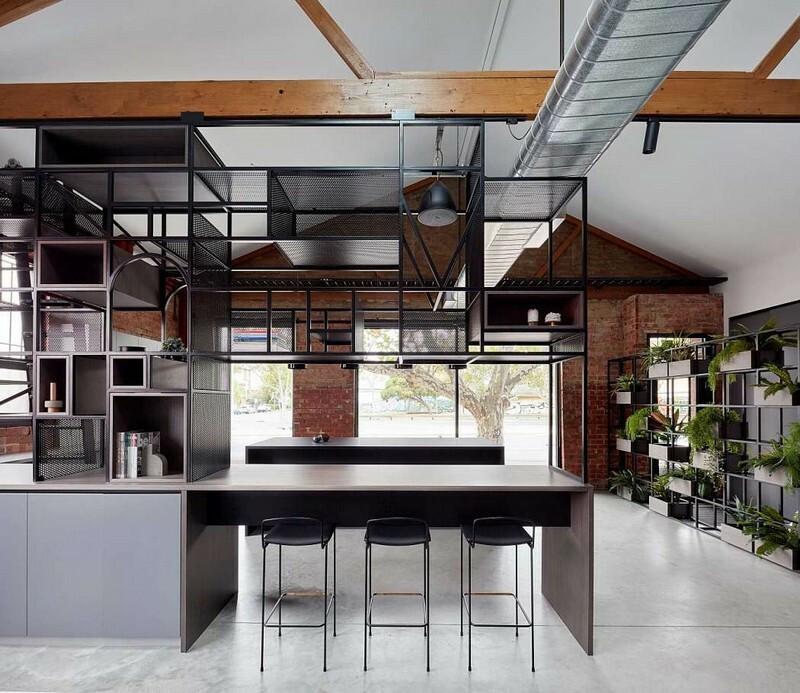 The exposed timber trusses and industrial shelving also add to the personality of the space. 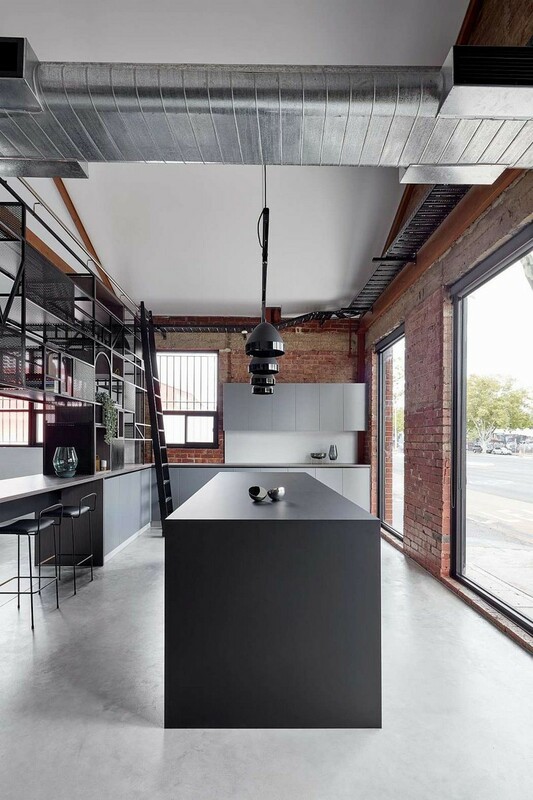 The concrete flooring, black-framed windows and the original red brick wall create a powerful contrast. 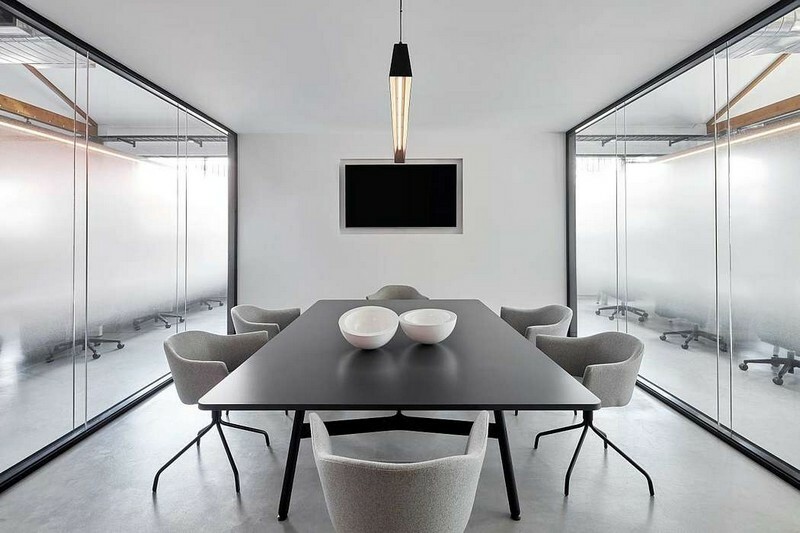 The new studio accommodates a series of working offices. 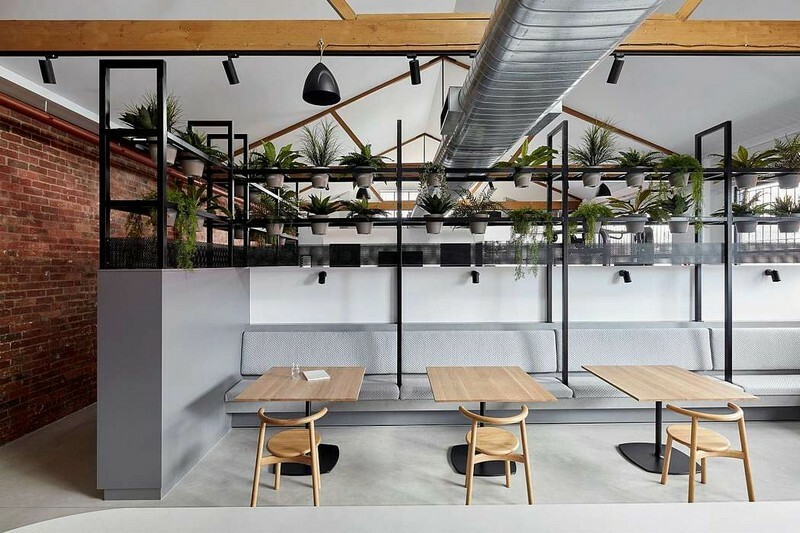 They’re split by a glass meeting room, an open kitchen and plenty of greenery. The design studio also includes a gym! 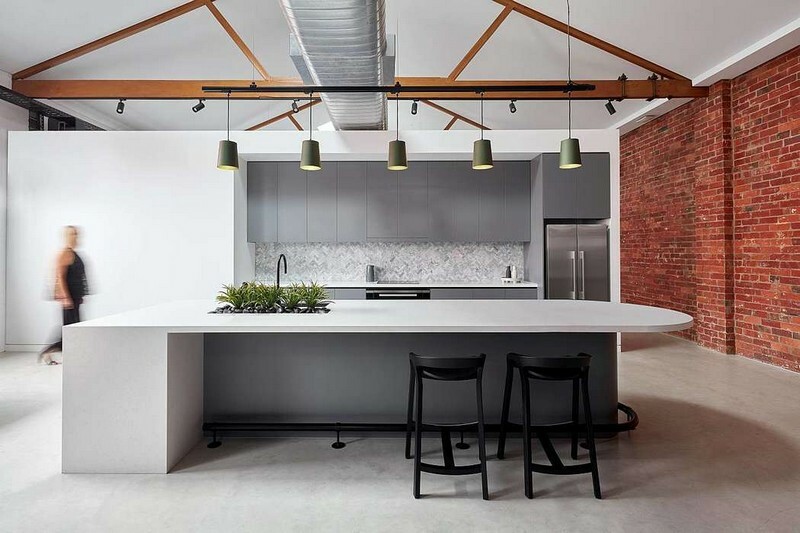 The post Warehouse in Australia Transformed into Minimalist Design Studio appeared first on Freshome.com.